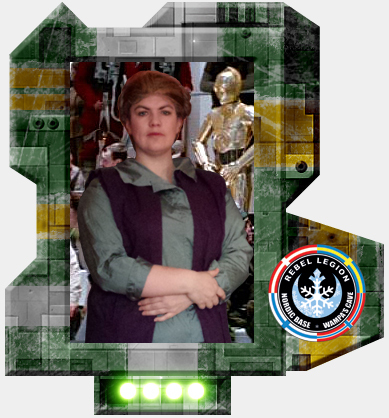 I think it's a new record for me to have two new costumes approved for Rebel Legion, within one week of each other. I felt it was time to finally submit TFA Leia, after all it's been finished since July. The one thing it's missing is the ring, and I had hoped to have it done before submitting. I have brass wire at home, but I haven't found suitable blue stones, and at the moment I'm not feeling inspired for it. Since it was an option component for approval I skipped it and sent it in. To be honest this is not a costume that I think I'm going to use much, the fabric of the jumpsuit makes it hot and uncomfortable and it's always a hassle with a wig. Still it's done and if there comes a request for TFA characters or so, then I can use it.